Whether it’s an oceanside bungalow or a luxury cabin in the mountains, many people dream of buying a vacation home. Financial advisors call a purchase like this “lifestyle investing.” Like any investment, buying a second home comes with both benefits and potential drawbacks, so it’s important to consider how a vacation home fits into your long-term plans before taking the plunge. Are you ready to pull a trigger on that property in Tahoe or Cabo? Read on before you close on any new vacation home. How strong is your income stream? Will it hold up during an economic downturn? Will you be able to write off some, or all, of your mortgage? The IRS caps write offs for mortgage indebtedness at a maximum of $1 million between your primary and qualified second home. Will you need to finance the vacation property? If so, keep in mind that banks are quite strict on limiting borrowers for a vacation property to a 42% debt-to-income ratio or less. For example, if your gross income is at $10,000 a month your total debt payments (including the new mortgage) will need to be under $4,200. What is your current asset allocation? It’s typically not a good idea for anyone to have more than 50% of his or her net worth in any single asset class, especially one like real estate, where leverage is usually a big factor. You don’t want to be overexposed if the housing market turns. Sit down with an advisor and answer these questions. If you still think a vacation home makes sense, keep reading. Retirement Retreat or Raking It in With a Rental? Once you’ve determined that a vacation home is economically feasible, the next big question to think about is how you want to use your vacation property. Are you planning to rent it out, fix it up and sell it, or retire there? If you’re thinking about becoming a landlord, make sure the vacation home has rental income potential. If you’re looking to eventually profit from a sale, are you prepared to own the home for five years? You’ll likely want to keep it for at least that long in order amortize the high transaction costs associated with buying a vacation property. On the other hand, you may see the home as part of your retirement dream, which makes it more of a lifestyle decision than a purely financial one. Once you know what you’ll use your home for, it’s time to figure out where to buy. Anyone who has ever bought a house has heard the adage about the three most important factors: “location, location, location.” This is even more critical when buying a vacation home. First, look closely at the local market. As the Great Recession showed, real estate doesn’t only go up. An array of factors can drive a local market up or down, including: major employers coming or going, damaging weather events, and changing zoning laws. By working with an agent knowledgeable about the area, you can get a good idea of market activity and pricing trends. It’s important to analyze the pros and cons of the kind of community in which you want to live. For example, a beachfront house will make it easy to find tenants if you choose to rent, but it may come with complicated insurance requirements. Mountain getaways typically offer lots of land at lower costs, but they are often located in rural communities with roads and utilities that may not be well maintained. As you scout locations, be sure to consider the distance from your primary residence to your vacation home. According to a recent survey by the National Association of Realtors, the average vacation homebuyer purchased a property that is a median distance of 200 miles from his or her primary residence. How often will you be willing to make that drive? And have you factored in the costs associated with the journey? Once you know where you want your vacation home to be, you may be faced with the choice of buying a pre-existing home or building a new home. While many experts consider location to be the most important factor for buying a property with long-term appreciation potential, expanding a property gives you another way to make money, as the ultimate sale price can be significantly more than the construction cost of an expansion. However, this approach isn’t without its downside, as expansion projects can often take longer and cost more than expected. There are also tax implications to consider. Before beginning a home investment process, you should run realistic worst-case cash flow numbers to see how long you can survive before your money runs out. Having two years in cash flow is a good guideline. Another option is to buy an older home, then remodel or renovate. While a renovation or remodeling likely won’t get you a huge return on investment when you sell, it can save you money by allowing you to buy a less expensive home and then improving it over time as opposed to shelling out more money up front. Renovations can also enable you to charge more should you choose to rent out your home. 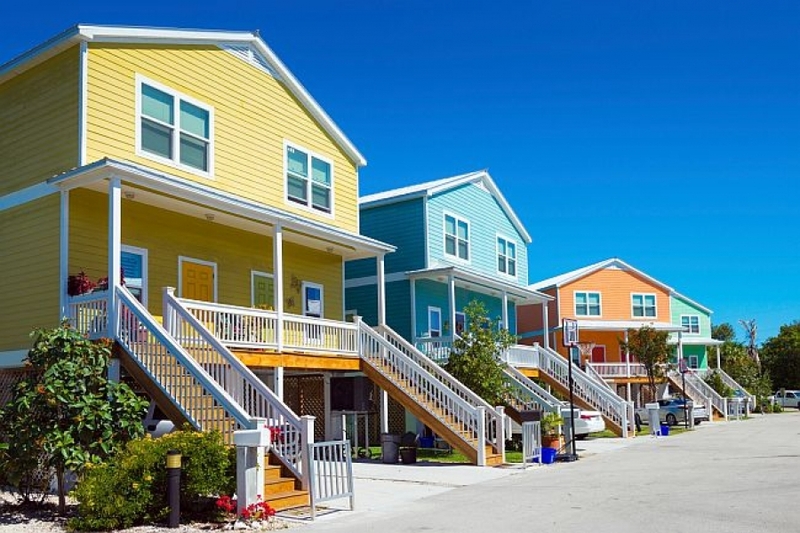 While buying a vacation home can be a dream come true, it’s important to look at it with clear eyes, just as you would with any other investment. Make sure to do extensive research and think hard about why you’re making the purchase before signing on the dotted line. July 21, 2017 in Latest News.